Standers Auto Handy Bar Transfer Aid provides stable support for car transfers. The Standers Auto Handy Bar Transfer Aid provides a stable support for people who have difficulty getting in or out of a car. 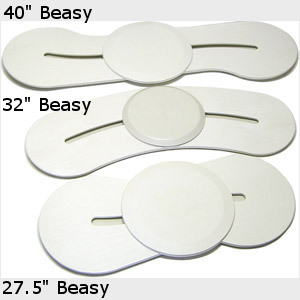 Caregivers will find the handle locks securely, reliably, into position and is easy to insert and remove. 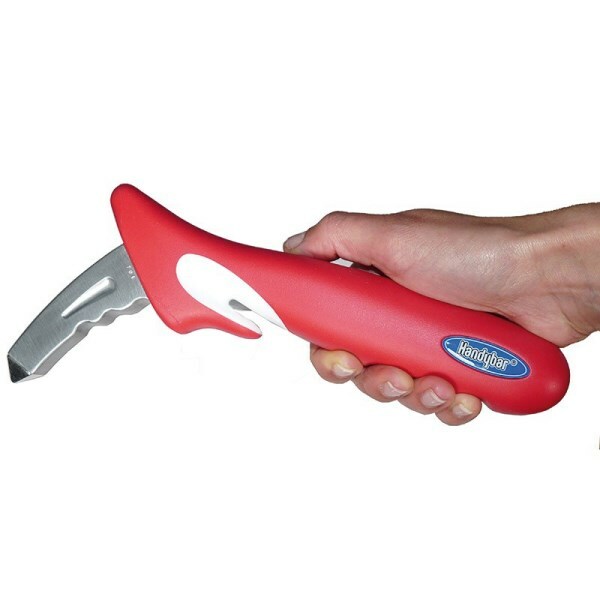 The Standers Auto Handy Bar Transfer Aid is a forged steel, large grip handle that can be placed at the best position to provide added leverage for car transfers. 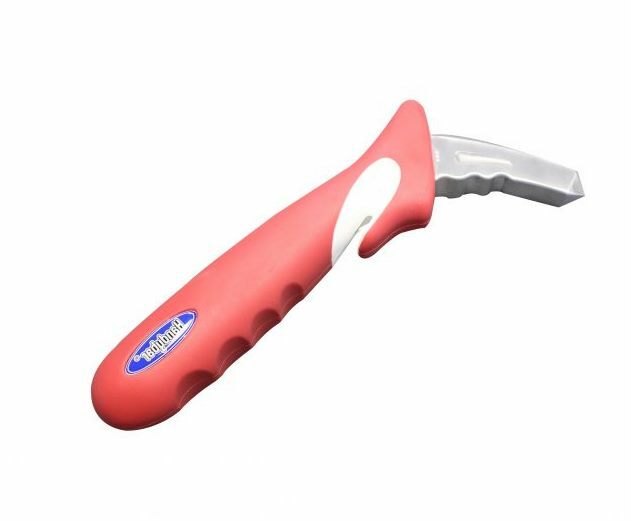 Weighing just 0.7 pound, and measuring about 9 inches long, the Standers Auto Handy Bar Transfer Aid is sufficiently lightweight, and compact, for it to be carried around in a handbag or pack. The precisely shaped nose locks the Handybar securely into position with little effort and enables it to be removed just as easily. 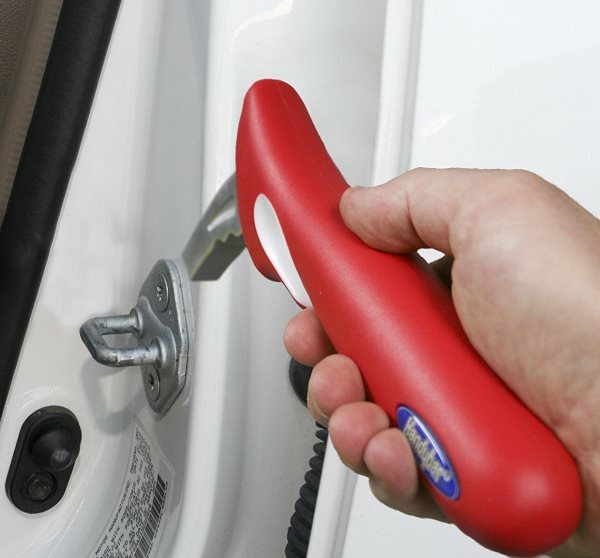 The contoured designed provides just the right height and angle of grip for getting in and out of a vehicle. The U-type striker plate on each of the door pillars allows the Handybar to be used by both the driver and passengers. 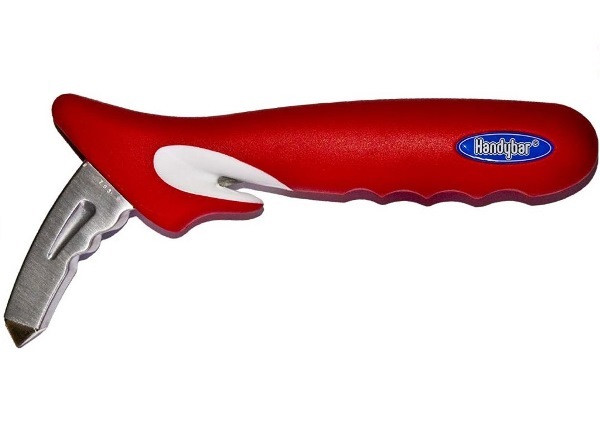 The Handybar includes a seat belt cutter, side window breaker and has a weight limit 350 pounds. The Standers Auto Handy Bar Transfer Aid helps caregivers make getting and and out of a car easier for their loved ones. This item has been great for my 88 year young mother. Before we ordered this she had extreme difficulty trying to get out of the car..she now takes it with her everywhere and has stated often how glad she is we saw it on your website. Thanks so much! I was very excited to get this product. I had one for my mother when she was recovering from a broken hip. Somehow it was misplaced and now I need it to help my dad in and out of the car. He is a Big guy and it works as perfectly as it did the first time. Best thing ever and resonably priced for what it does. This is a good product, built to last. It really helps my husband who has Parkinson's get out of the car. We bought the Car Caddie strap at the same time, and using the two products together it is much easier for him. Both products fit right in the glove compartment. It is helpful, but still not enough to solve my dads transfer issues. It does not work as well in the back seat of a four door car as it would in a two door car as pictured in the ad. He still looks for something for help on his right side when trying to get up and out of the car. 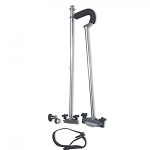 Q: We are trying to find tools to help my wife with dementia and a paralyzed right arm into a car for transportation without lift modifications to the vehicle. As I look at this demo, it appears to only be of value for people getting in and out of drivers seats. Would this work on the passenger side i aided in some way? A: Yes, the Standers Auto Handy Bar Transfer Aid will work on any vehicle door as long as there is a striker plate (U shaped object that the door latches onto when closing). Q: Does this latch hurt the integrity of the car latch? A: No as long as the 300 lb weight limit is not exceeded.